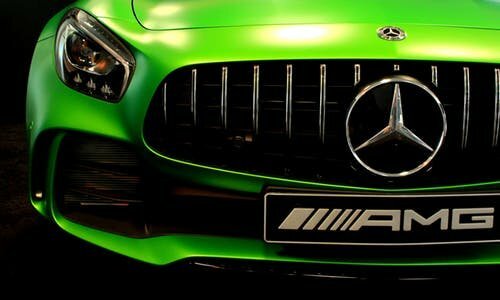 Mercedes-Benz is continuously showing its dominance in Formula 1 racing. Formula 1 driver, Lewis Hamilton, recently secured the victory in the 2015 Constructor’s World Championship for Mercedes-Benz. This will be the second consecutive year the Mercedes-Benz brand reaches the top of the podium. It was a nail biting race at the Russia Grand Prix, espeically if you were routing for the vehicle sporting the three-pointed star. Ferrari driver, Kimi Raikkonen, needed to maintain at least three point lead over Mercedes-Benz points in order to thwart Mercedes-Benz from achieving victory. It seemed that Ferrari was going to be successful in its fifth place position, but Raikkonen received a 30-second penalty which dropped him to eighth place; thus securing the victory for Lewis Hamilton and Mercedes-Benz. Lewis Hamilton, along with second Mercedes-Benz driver Nico Rosberg, have secured 12 victories out of 15 Formula 1 races this season. Silver Star Mercedes-Benz Montreal wants to congratulate the entire Mercedes-Benz team for putting in hard work to achieve this victory and showcase the dominance of the brand.